Small-scale living is on the rise. According to architect Clara da Cruz Almeida, “a simpler life will allow you to concentrate on what matters: the experience of living.” It was this line of thought that inspired her to create the POD-Idladla, a prefabricated, modular nano-home manufactured in South Africa. Stylish yet compact, POD delivers the best of both form and function. At just 17.2 square meters, each individual pod can sleep two in the mezzanine bedroom and an additional guest on the ground floor. The space is not divided between conventional “rooms,” which allows POD to adapt to individual needs; the downstairs “task room” serves as both an office and laundry room, while the front and back are divided by a dual hallway-shower area. An simple wooden deck extends off the first floor, blurring the boundary between indoor and out. The home’s open floor plan also encourages a lifestyle rooted in nature, while pale wooden floors, cabinets, and accents throughout allude to its rustic surroundings. 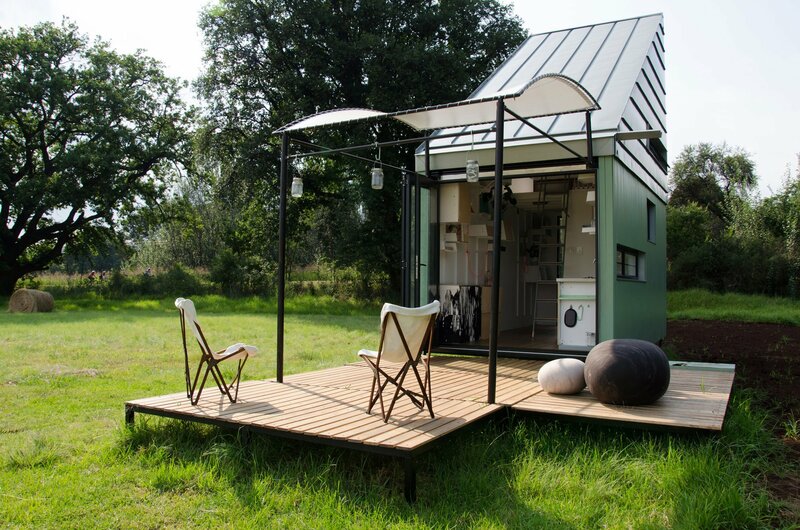 However, created as a first home or simple holiday retreat, POD can go anywhere; you can even “move the house with you.” Cruz Almeida suggests that groups of pods could be used for student accommodation, a “shared-living village,” or even as company accommodation in remote areas. Aside from its obvious efficiency and earth-friendly philosophy, POD-Idadla’s spare aesthetic makes it emblematic of today’s minimal design; Cruz Almeida’s design proves that less is more.